Include your pet on your New Year Resolutions! New Year's Resolutions are not just for humans, we can make a change with our pet's too! When we are making our New Year's resolutions of losing weight, or giving up soft drinks, or attending church more, we all make them and whether or not we stick to our resolutions or not, it is tradition to make New Year's Resolutions. How about including your pet in your resolution this year? Not like buying him more toys or petting him more, but something of real consistency and value. How about commit to a healthier life for your dog? Walking your dog can sure help your dog get the exercise that he needs to walk off the pounds and I am pretty sure it won’t hurt you either. What about your pet’s diet? 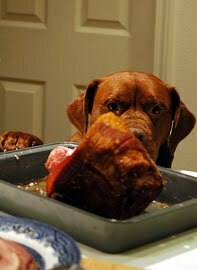 Are you giving your dog fatty foods from your table which can lead to more health problems? Maybe you should check into better and more nutritious food for your dog this New Year. See your vet if you have any special concerns about your dog’s diet and he can recommend a good brand to fit your pet’s needs and often times, they sell it at the vet clinic. This might include your treats too because those can be unhealthy too. Maybe you would like to take better care of your dog in general, that would start with your pet's health from the inside out. When you have a healthy pet you will notice a they will be a lot more active and in turn will save you very expensive pet vet bills in the end and make you a better pet owner. When you have a healthy dog, you will notice that they are happier and a lot more active. So, if you have not yet started to look at your dog's diet and exercise routine, now would be the perfect time at the start of a brand New Year. 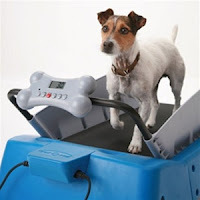 Why not invest in a pet treadmill or items to make your pet more active? You could get him some Joint tablets to help with his achy joints or just to keep him moving~ or just start by reading about the bond between you and your dog with the "Bond for Life" book. We know that if we could hear our dog speak, he would be making resolutions too, like not sleeping so much or possibly no vomiting in the formal living room, or shaking off the muddy water as he runs in the house, no chewing of the stuffed animals, or drinking the commode water. BUT.. I am sure our dogs would really appreciate our help by setting the standards for a healthier lifestyle and the rest I am sure will fall into place. 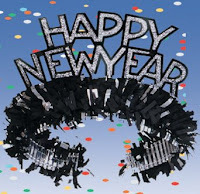 Happy New Year to you and yours from Posh Puppy Boutique! Don't fight the crowds, shop the sale at Posh Puppy! Looking for a great "after Holiday Sale"? Look no further because Posh Puppy Boutique is offering 20% off of all great doggie fashion and pet accessories today, December 26th only! 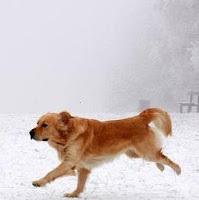 With winter weather in full swing you may need a pet coat to keep your pooch warm, or you may be looking for a pet item just for the heck of it, Posh Puppy Boutique is the place to shop. Maybe you are looking for a wonderful harness for your dog, try the New Freedom Harness in many colors. The Freedom Harness is made of a semi-stretchy, breath-easy material. It has beautiful lightweight polished hardware. This harness provides great support for dogs that pull hard or older dogs that need more support. An updated "Two-Touch" buckle and widened adjustment straps makes the Freedom Harness better than ever! The Ralph Down East Carrier is a great pet carrier and on sale too! A pet carrier of natural canvas trimmed in a rustic hue of Italian leather. How about a PEZ® Treat Dispenser to dispense the pet treats that Santa brought your dog!he overall height of the dispenser is 8.5” tall and 4.25” wide. Each Pez dog treat dispenser ships with 6 tasty treats; 2 chicken, 2 beef and2 bacon. Have fun with this unique item by giving Fido tasty treats! 12 piece Refill Packs are available assorted with 4 pieces of each of the 3 flavors. The treats are made of 100%corn starch. 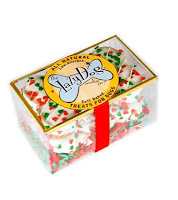 They are easy to digest and yummy for all dogs! Has your pet been on Santa's "nice list" this year? 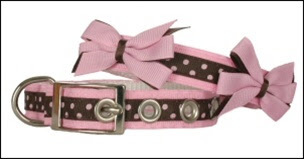 Reward her with the Bow Wow Bows Dog Collar Pink and Brown. The Ribbon Collar is back and better than ever! Whatever you are looking for whether it be a dog collar, or kitty bowl or any pet accessories, Posh Puppy Boutique has all your pet needs and for great prices. 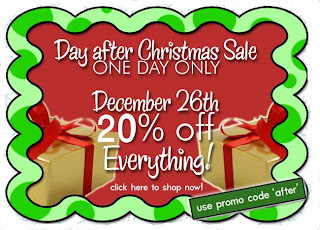 Shop today only for 20% off by entering code "after".. Hurry and save today! We are just a click away from saving a dog! With all of using Facebook and Twitter these days, it is important we get the word out about organizations and or companies that are important. Obviously with 19,000 plus fans on Facebook it is apparent that Dogtime has done a great job at getting the word out about Save a Dog. Dogtime's mission is to keep dogs out of shelters and in good homes by having resources available for pet owners and people thinking about getting a pet. If you are a dog lover and feel the need to share and support animal rescue efforts, give dogs homes and out or shelters, you need to become a fan of Save a Dog on Facebook. There are many things to do to help out this great new venture, look at dogs and offer to foster, send the link to your friends and they might foster a dog too, and then .. the world becomes a better place for dogs. The more the word is spread, the better these dogs will have at a wonderful life. By fostering and sending to your pals, you will score points that help with food for dogs in shelters. For every 2,500 points our users score, Dogtime donates the financial equivalent of a cup of food to RescueGroups.org, a non-profit organization. 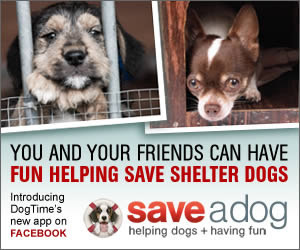 The more points you earn, the more dogs you help save! It is so easy to help out and who doesn't love animals and want to help, especially this time of the season?... so add Save a Dog on Facebook and start feeling good about helping out a homeless dog. Join the 19,000 today! A quick and cheap gift, just may be your DOG! We all know that there are people out there that are not honest and trustworthy and might just be panicked and need a quick gift for the season.. so you assume they will run out to the store.. right? WRONG.. your dog might be their gift to someone else. 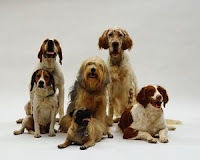 Dognapping is on the rise according to the American Kennel Club especially in these hard economical times. Pet theft has risen 30% in the past couple of years. It is so sad to think that your best buddy could end up in the hands of someone else. Don't leave your dog unattended. Never leave your dog outside a store or a food establishment while you just "run in". Leave your dog at home. Keep your dog on a leash when taking your walks. Your dog can get distracted and run off and that may be the last you see of him. Think about the AKC's Lost Pet Alert if your pet is stolen or missing. This service works like an Amber Alert for pets and sends out an e-mail notification to veterinarians, shelters and animal control agencies within a 50-mile radius. We take care of our children, why not take care of our pets by taking extra precautions. Fore more information you can visit The Good Morning America site and see their new story. Hurry! Last day to shop for Christmas Delivery! I know, I know.. doesn’t seem possible, but today is the last day to shop at Posh Puppy Boutique to ensure Christmas delivery! For quick gifts for your pet, you need to check out Posh Puppy Boutique’s Super Sale page. There are so many quick gifts you can get to either stuff a stocking, or wrap and put under the tree but... you have to hurry to get the deals! Maybe you have not gotten a Holiday stocking yet for your furry friend or maybe he needs a pet treat for being good all year long! We got it! 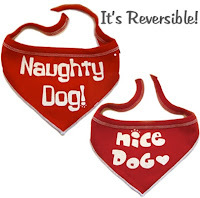 Maybe he hasn't been a good dog and Santa has high hopes for him, try a precious doggie t-shirt or a reversible bandana! You know, we cannot always be good, but don't give up on us. Maybe we need a chew toy or something to occupy our time.. there are great "time occupiers" out there for your pet! Whether or not your little one has been a bit destructive this year, or barked a little too much, or maybe had a accident or two, don't forget that the excitement of the season is within him too. So, don't be a GRINCH this year, bless the ones that stand beside you all year long with a great holiday pet gift from Posh Puppy Boutique! 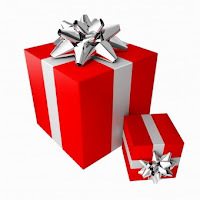 Remember, order today for Christmas delivery! With just a few more days of gift buying for your pet, you may need a little help with what do get. 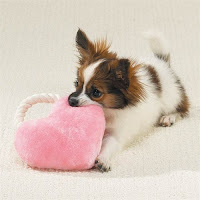 At Posh Puppy Boutique we love to help by giving you great suggestions for the furry little critter in your house. 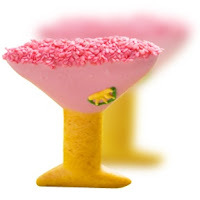 4 Yappy Hour Cosmo Treats - Toast the new year in with this great Cosmo treat! Ingredients: unbleached flour, chicken, egg, canola oil, cornmeal, carob, yogurt, peanuts, sesame seed. 4 cosmos come in a box. Yogurt & Carob Dipped Bones Treats - These great treats come: 2 carob dipped & 2 yogurt dipped bones and decorated with sprinkles. Standard bone measures approx. 3 long. Pack of 4. High Heel - Lost Soles Vinyl Toy - give them this, so your shoes stay in good shape! Fill-n-Freeze™ Dog Bone -this is the ultimate dog bone that will help occupy your pet a long time. Fill with water, juice, or broth, put in the freezer until frozen, and then give to your dog to enjoy. For Mommy~ why not stuff your own stocking with some precious cozy slippers? 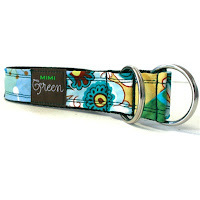 Pick your "breed" from Dalmation to St. Benard, or.. you can get yourself a matching Mimi Green 'Caroline' Wristlet Key Ring and get your dog the Mimi Green "Caroline" Collar! You can match! Whatever your fancy is for you or your pet, we have something for you! Order now for delivery by Christmas whether for you or your pet! 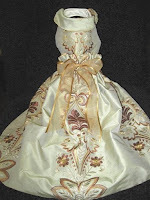 We have wonderful upscale pet items as well as pet lover gifts! 13 days and counting, so hurry!! 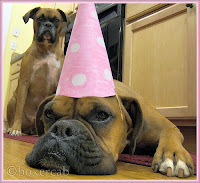 Throw a Party with Pet Party Printz! New, at Posh Puppy Boutique Pet Party Printz!!! Pet Party Printz is a fun new pet gift wrap that is one-of-a-kind! This wrapping paper is pet friendly and allows your pet to receive a wrapped gift and enjoy the excitement of opening it without worries! Also, introducing the Rip’n’Stick edge technology - it makes a safer product for pets, and a more efficient and environmentally friendly way to wrap your pet gifts. What a neat way to wrap your gift and so easy! This new pet friendly wrapping paper is exactly what you need to help celebrate the holiday season with your pet. 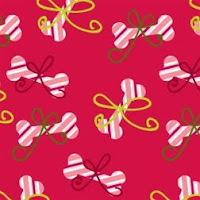 This wrapping paper is made of non-toxic material and soy based and better yet, Made in the USA! So.... no worries, no tape, pet friendly ... now all you need is the gift! Check out the new arrivals at Posh Puppy Boutique and order the Pet Party Printz make the furry ones complete! With only 24 or so days left until Christmas day, we all are starting to scramble around and find items and gifts for our loved ones and we must not leave out our furry little “elves”. Your pet deserves a little gift too as this is the one that stands beside you through thick or thin and never asks questions and loves you no matter what. 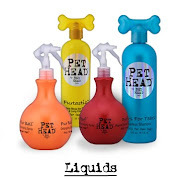 Posh Puppy Boutique has thousands of pet gift items for your pet, all the way from precious dog apparel to ceramic dog bowls, to harnesses and pet grooming and health. There is nothing that they do not have for your pet! Don't let our name fool ya!~We have a Kitty Corner too! Start you pet Christmas shopping NOW to ensure your delivery by Christmas. You must place your order with Posh Puppy Boutique by December 15th in order to get your item by Christmas. 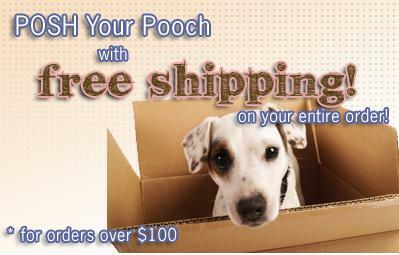 You can even get Free Shipping for your items if you order 100.00 or more, what a deal! It usually takes 7-10 days during transit, but during the Holiday season, you want to order early! You don’t want to have a empty stocking for your pet on Christmas morning do you? 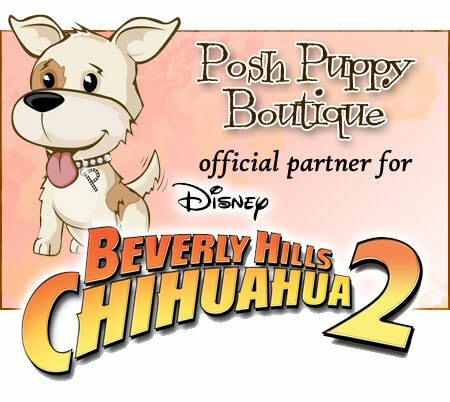 Also, don’t forget that Posh Puppy Boutique has gift certificates available. 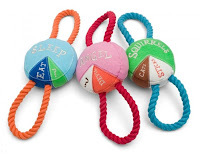 Why not get a great gift for your friend or neighbor who has a pet they adore, so that they can pick out their own gift? We all know that most people are pet lovers and many people have pets of their own, and what a great gift a gift certificate would be. You wouldn’t think that chewing gum could hurt your dog, but this SPOOKY season, BEWARE cause it can! When your kids are unloading their Halloween treats make sure you keep your doggie away from the candy and especially the gum, especially the sugar free gum! The Xylitol in sugarless gum can be toxic, and can cause liver failure in your dog. According to the Animal Poison Control Center, last year they managed over 170 sick pets after eating products containing Xylitol. Xylitol is a sugar-alcohol sweetener found in sugar-free human food products such as chewing gum, candy, baked goods as well as other products. Dogs that ingest certain items with Xylitol can develop a sudden drop in blood sugar, which can cause weakness, lethargy, loss of coordination, collapse and seizures. Not what any pet owner wants to go through. If you find that your pet has eaten candy or gum and you are unsure what the active ingredients are, call your local Poison Control Center or vet immediately. Symptoms can occur in 15-30 minutes after ingesting the product. Don't take this litely it CAN happen. According to Snopes this is a true and correct warning. For a list of other products that can hurt your pet check with your vet or search the internet. So, keep purses, treat bags, and candy out of the reach of our furry little friends and it will keep you and your best friend out of the Animal ER! Halloween is almost here and that means that your pet will be sporting his favorite Halloween costume! If you are like me and enjoy taking pictures, it is a must to know how to take the best pictures of your pets. 1/ Use treats : Bribery and motivation is the key. Pick a yummy treat and use it to your advantage. 2/ Use good light: While outdoors is the best light; if you must take indoors make sure it is a well lit room and use your flash. 3/ Background: I know we all want to stick pumpkins around Fido and spooky decorations but it’s not the best for the picture and most of the time causes distractions. 4/Don’t get crazy with the costume: We all know that some costumes can be uncomfortable. Make sure you let your dog move around for a bit in the costume and make sure you put on the headpiece last before snapping the picture! 5/ Make sure that you get down to his level: Don’t try and take the picture from up above him. Kneel down and snap his photo from his level. It will make for a better picture. 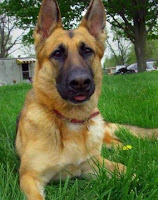 There is additional information on taking pet photo's on most pet websites! After you take the pictures, share with your family and friends! We all need a good laugh, and if you have not gotten your best buddy a Halloween costume yet, you better hurry! 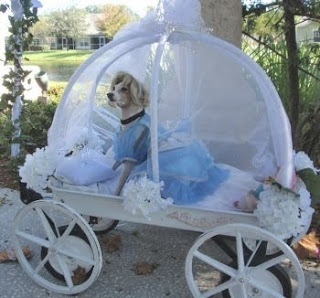 Check out Posh Puppy Boutique's great Halloween costumes for your dog! 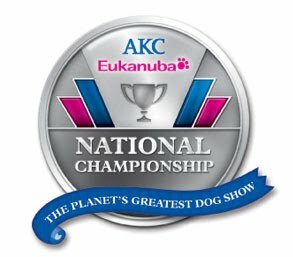 Every year I just anticipate the arrival of the Top Dog Breeds of the Year announced by the American Kennel Club. With 2010 approaching I thought I would give a re-cap of this years “top dogs”. Also known as “Yorkies”, these small but spunky dogs are high energy and very loyal. WOOO HOOO! I love those little “weiner dogs”! With long bodies and shorts legs, they tend to fool ya! They are playful, fun and sometimes grumpy with strangers! Remember “Snoopy”? This strong little buck is sweet and gentle and loves his family. Miniature Schnauzers are smart, obedient and love to engage in non-aggressive play. They'll play well with children and or chew toys. Labeled the most “popular” dog of all, the dogs are lovable, smart and friendly and perfect with kids! The American Kennel Club says that the Boxers “play well with children, are extremely loyal and are low maintenance dogs”. These large dogs are extremely kind and gentle by nature and love playing with people and their toys. Make sure you have enough room for this big boy! One of the most lovable dogs around and so smart that is why they are every police force’s choice for their K-9. They finally made the list! This adorable dog is cute and cuddly and obviously the most popular in Hollywood. Poodles are beautiful, loyal and extremely intelligent dogs which makes them popular among everyone! Check back in Jan and see if your baby made the cut! 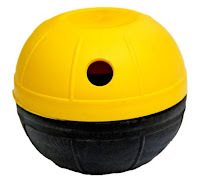 With winter fast approaching and the weather outside changing, Fido may not be getting his exercise~chasing birds and Frisbees and frolicking in the sun and may pack on a few pounds or so. Since we all try to take care of ourselves with our memberships to the gym and our “mall walking” friends, why not let your best friend look trim and healthy too! The new pet treadmill is wonderful! Exercise anytime, anywhere, any weather! Treadmill training can give a dog a great workout regardless of weather or environment, allowing owners to maintain a watchful eye. It provides increased muscle definition, toning, improves vitality, increases life span and can help curb destructive behavior or excess energy often associated with the lack of regular exercise. 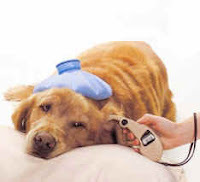 Often it is used as rehab for injuries to dogs as well. 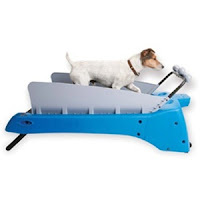 These treadmills come in three sizes to best fit your dog and his size, small, med and large for the big boys! Why not put the pet treadmill next to your and throw in a video (maybe “Homeward Bound” or something) and start walking! What a great way to “bond” with your buddy! How do you know which line to buy for your dog’s fall fashion statement? At Posh Puppy Boutique we outfit your babies with the finest dog fashion clothing around! We have the top designers in the canine world. 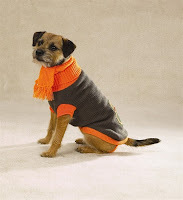 Our line of dog fashion ranges from sweaters to bathing suits and we even have accessories.Oh, where to start? When choosing a outfit for your dog, make sure that you check out our sizing charts and be sure and measure, measure, measure because you never know how they will fit and we want to make sure you are happy! 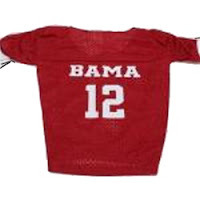 Pick a functional outfit as well, one that doesn’t bind your little one. 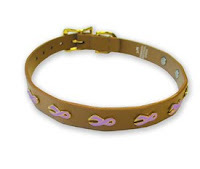 Maybe you like Juicy Couture for your dog, a great line with many items. Maybe you are interested in keeping your buddy warm in this Juicy Couture Faux Fur Coat or maybe you want to get your puppy the new Juicy Couture Velour Bear Dog Chew Toy or a precious Juicy Couture dog placement. A inexpensive way to let them “strut their stuff” wearing Juicy Couture. 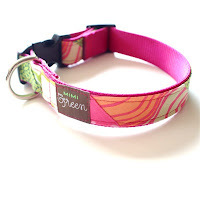 A precious line of collars is the Mimi Green line. How about the Mimi Green Bo Presidential Collar or a precious Pink Monogram Doggie Tank . 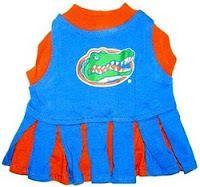 Great items to choose from from this great line of dog clothing. Possibly you are bit fancier in style and would like the Georgia Belle Dress Dress with Long Skirt by Linda Higgins. 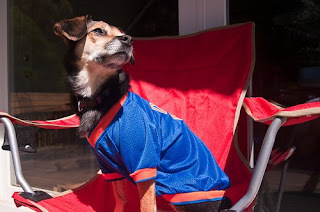 Perhaps you have a "manly man dog" and would like to dress him up on Sunday's for the big game. How about the sports line from Posh Puppy? Maybe you are a "Bama Fan" or maybe a NY Jets fan! We have all of the great teams for your picking! Whatever “your style” is for your best friend, you can certainly find the “perfect” dog outfit at Posh Puppy Boutique! We are certainly here to help if you need it!